Our Early access Vatican Tour with Cabinet of the Mask gives you an in-depth visit of the Vatican with the special access to the Cabinet of the Masks, where you can admire ancient mosaics. 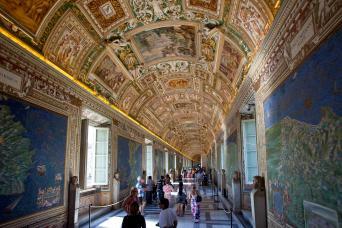 With this tour you will not only visit the Cabinet of the masks, but you will enjoy the visit of the main galleries and museums and the stunning Sistine Chapel and St Peter's Basilica. The tour includes one of our private guides, who knows everything about the places you will discover together. 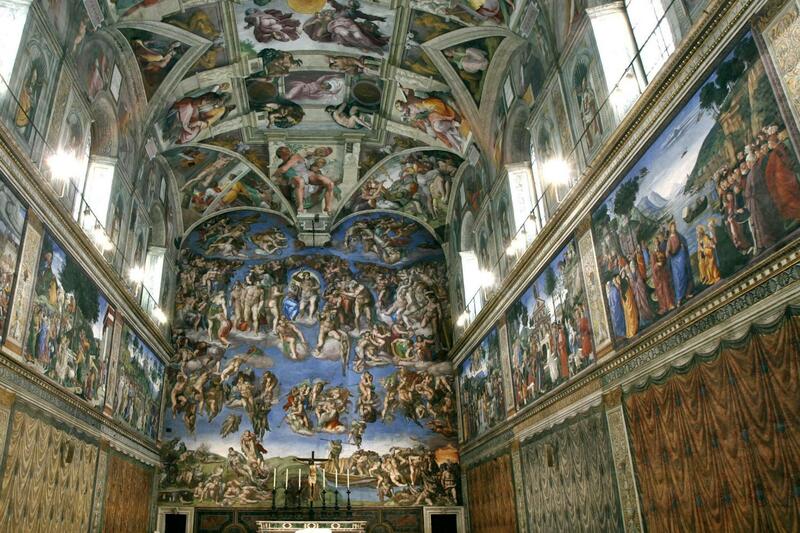 Stop hesitating, book our Early Access Vatican Tour with Cabinet of the Mask! Our Early Access Vatican Tour with Cabinet of the Mask gives you a very interesting tour around the Vatican at the first lights of the day! Not only will you explore the usual places everyone has heard of, you will also get into the Cabinet of the Masks, with its beautiful mosaics. The tour includes a private guide, so that you can be absolutely sure to learn everything about it. Being it a private tour, you can customize it at your own peace... Do you need to know anything more about it to book it? You will meet your guide just outside the Vatican Museums at 7:30 AM and your guide will begin immediately to explain the history of the Vatican. At 8 am you will enter the Museums; as you are going to enter before the general public, you will find no crowds. 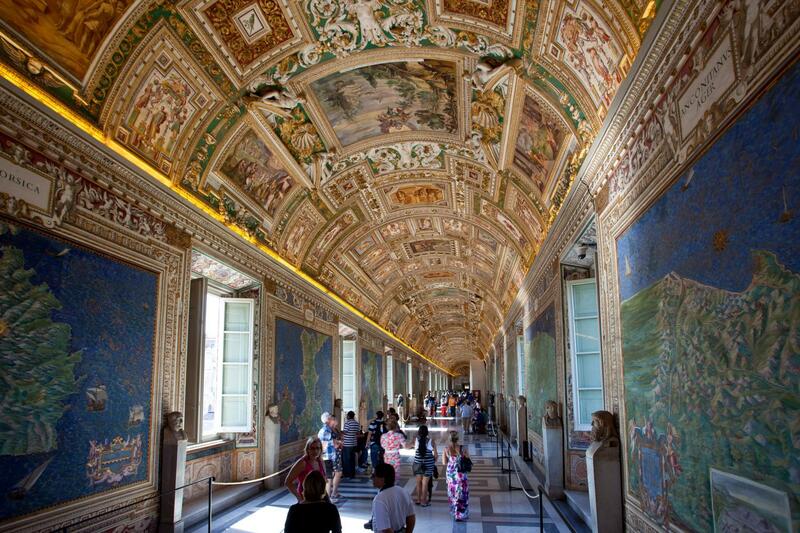 Our licensed guide will lead you through the Vatican Museums' extensive galleries, thus immersing you in the art and history contained in the museums. Here you will able to admire artworks from the immense collection the variuos Popes have set through the centuries, from the classical sculptures to the most important masterpieces from the Renaissance. The museums contain roughly 70,000 works, of which 20,000 are on display, and currently employ 640 people who work in 40 different administrative, scholarly, and restoration departments. 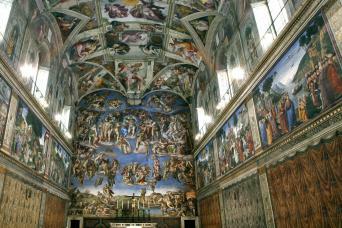 The Sistine Chapel is probably the main highlight in the museum. Its ceiling decorated by Michelangelo and the Stanze di Raffaello decorated by Raphael are among the greatest masterpieces you will see in your entire life. No exaggerations! A special door will allow you to enter St Peter's Basilica, avoiding the lines. Your guide will explain all about the most important Church in the world, pointing out at the art and architecture contained. A special visit in this tour: you will have the chance to visit the famous Cabinet of the Masks. This area is usually precluded to visitors, but it is very worth visiting! 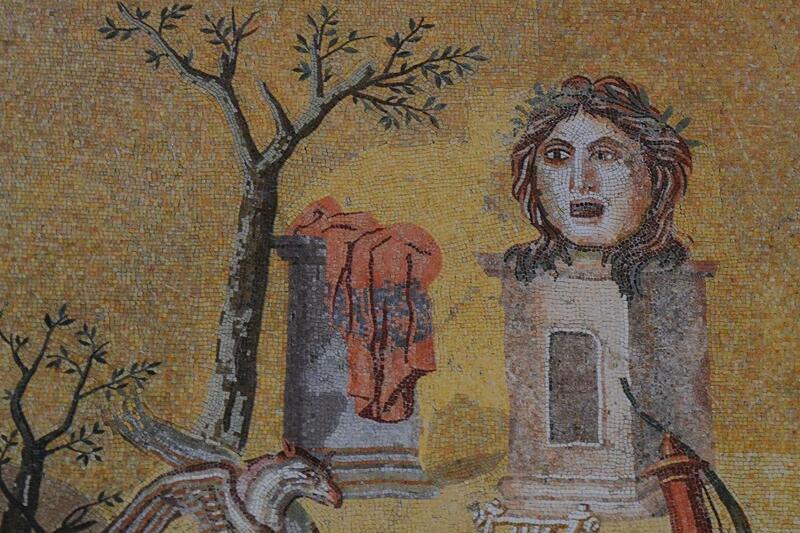 Its name comes from the beautiful roman mosaics depicting masks that enrich its floor. You will also see some beutiful statues around there!